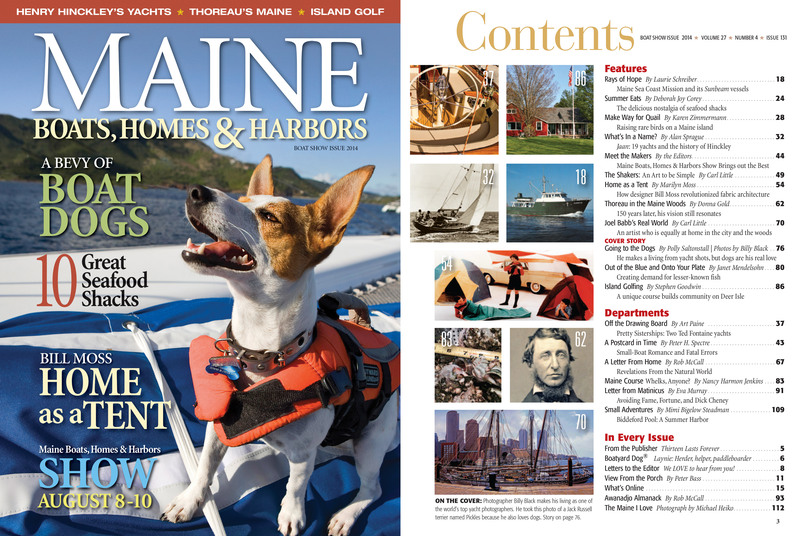 **BONUS CONTENT: Going to the dogs: See more of Billy Black's wonderful photos of dogs on boats and at the helm. Who can resist? On the cover: Photographer Billy Black makes his living as one of the world's top yacht photographers. He took this photo of a Jack Russell terrier named Pickles because he also loves dogs. Story on page 76.